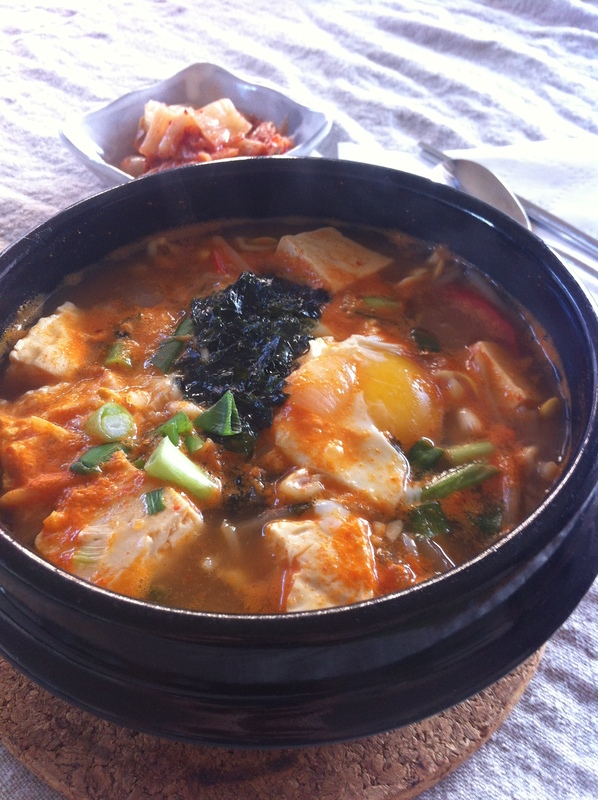 Kongnamul-gukbap (콩나물국밥) is a one pot meal made in a hot bowl with kongmamul-guk (콩나물국, soybean sprout soup) and rice on the bottom of the bowl. 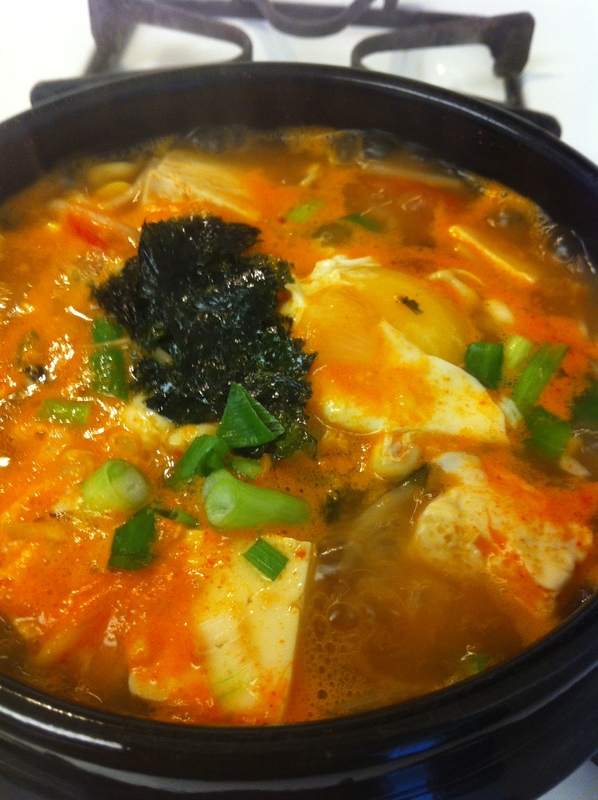 Instead of making this dish from scratch, I cheat by making this dish with leftover kongnamul-guk and rice. Although my method is unconventional, the kongnamul-guk is reborn into a sumptuous meal with only few ingredients within 10 minutes. 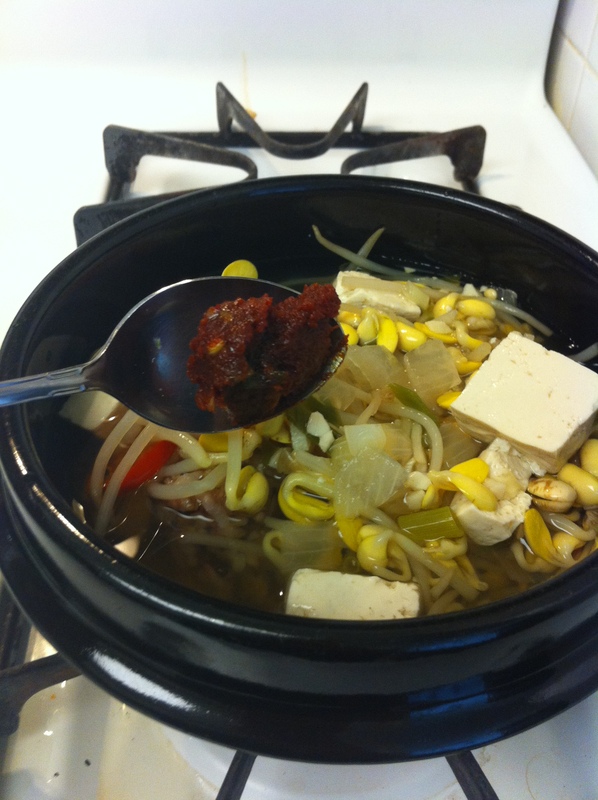 Place a stone bowl or a Korean ceramic pot on medium high heat. 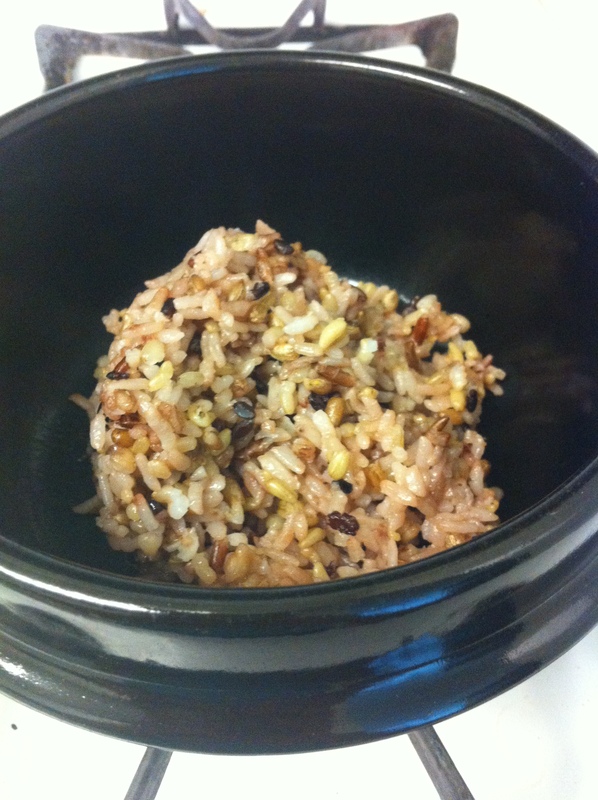 Place the bowl of cooked rice at the bottom and pour kongnamul-guk (콩나물국) top. 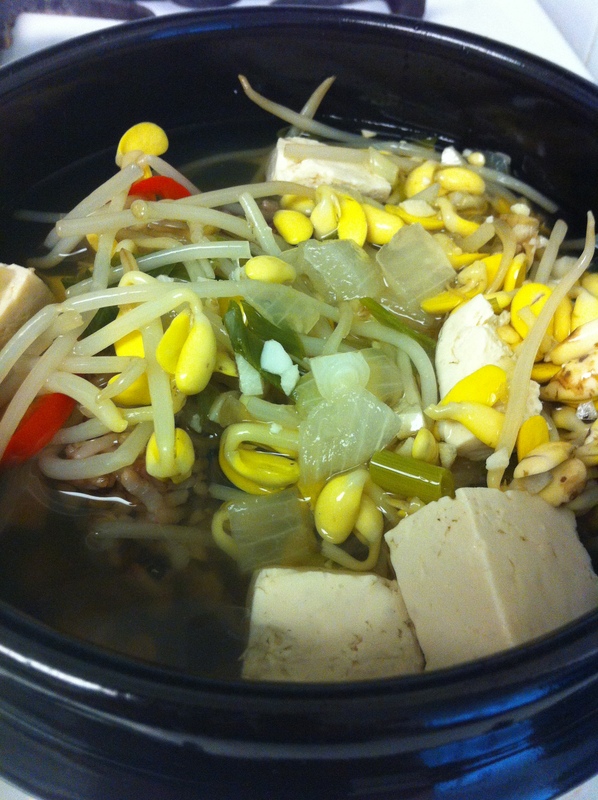 Carefully stir in the dadegi (다대기) without disturbing the rice at the bottom. When the soup boils, crack an egg in the middle and cook until the egg white are cooked. Sprinkle the crushed gim (김) on top and serve. This entry was posted in Good for lunch, Main Dish, Rice Dish, Soup/Stew (국/탕/찌게) and tagged Anchovy Broth, Kongnamul, Myulchi Yuksoo, Soy Bean Srpouts by gangnamkitchen. Bookmark the permalink. I just tried this recipe tonight. THANK YOU! It was delicious! !